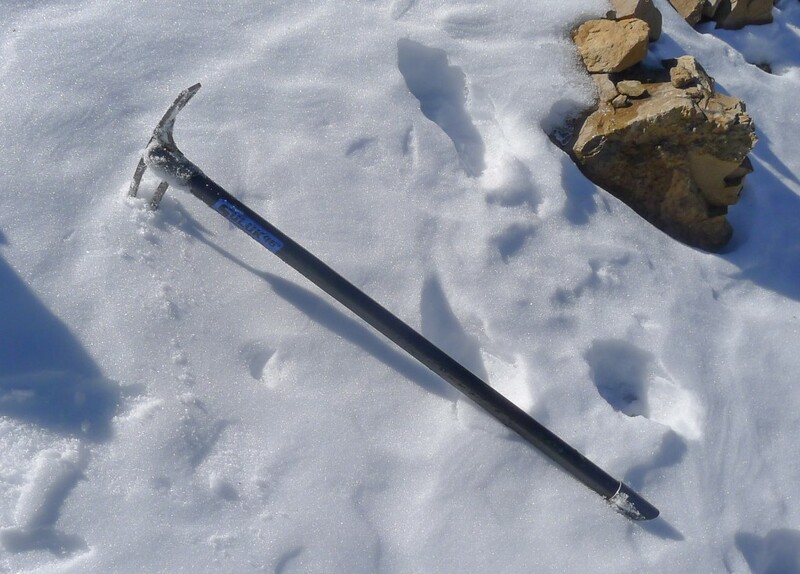 This entry was posted in Climbing Gear Reviews and tagged ice axe, mediocre mountaineering, ski mountaineering ice axe, suluk 46 tica, suluk 46 tica ice ax, Suluk 46 TiCa Ice Tool, titanium ice ax, titanium ice tool, ultralight ice ax by Kai. Bookmark the permalink. How thick is a pick of this tool? Does it really work for a self arrest on snow? I am concerned that it may be too thin that can make this tool useless for self arrest on snow. The pick is similar in thickness to the pick of any other technical tool. It is not a very thin pick. I have no doubts about its usefulness for self arrest in snow because I have tested it self arresting on snow and glacial ice and it worked fine. I would venture that it is stronger than the picks on some of the ultralight aluminum axes out there. 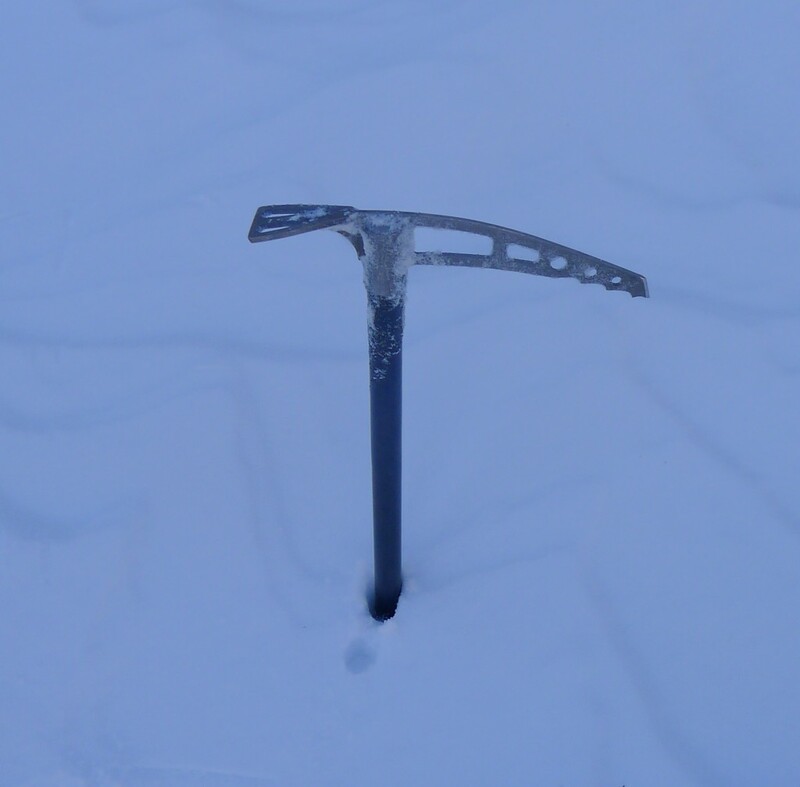 Self arrest on snow is something that this tool is very well suited for.